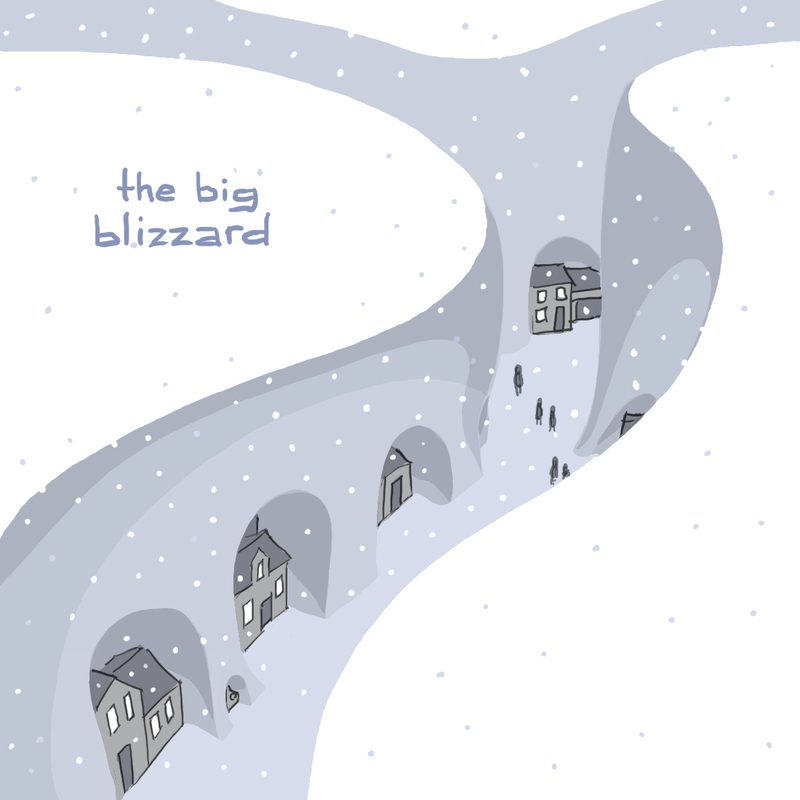 The Big Blizzard is a wordless picture book showing a fantastical storm and the people who live in it. THIS IS A GREAT IDEA. It feels very Shaun Tan. That's not fantastical. It happened in Chicago last week. And the city could sure take a lesson or two from those industrious people. Great! Now I'm cold. Thanks Nathan! Jed--Straight up Shaun Tan! That'd be the way to do it! Juliana-- The Road is pretty heavy duty. I read it twice and watched half the movie (didn't like the movie, the casting of the dad was good, and it LOOKED right but it missed the point) don't challenge me with a post-apocalyptic picture book, though--I can make that happen! Q--the rest of the country is having all the fun. Here in Utah, where we're supposed to have serious snow, we're having a very middling snow year. Charlie--cold? But look how cozy the little houses are! This is my favorite one so far! I love it! I want to live there. For one week. I bet it is really quite warm under all that snow. But how did they ever plow it? Nice design. You could start it all out with ONE snowflake falling on a little boy's nose. This is my very favorite one so far. I love it! My favorite so far - I want to illustrate this one! Some people just don't get snow. Snow is other worldly....unless you need to get somewhere and then it's a pain in the keister! I want to live there!!! !